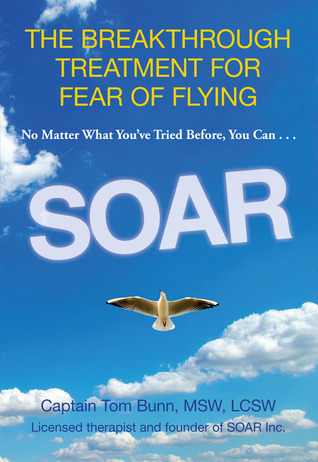 Captain Bunn founded SOAR to develop effective methods for dealing with flight anxiety. Therapists who have found this phobia difficult to treat will find everything they need to give their clients success. Anxious flyers who have “tried everything” to no avail can look forward to joining the nearly 10,000 graduates of the SOAR program who now have the whole world open to them as they fly anxiety free wherever they want. This approach begins by explaining how anxiety, claustrophobia, and panic are caused when noises, motions—or even the thought of flying—trigger excessive stress hormones. Then, to stop this problem, Captain Bunn takes the reader step-by-step through exercises that permanently and automatically control these feelings. He also explains how flying works, why it is safe, and teaches flyers how to strategically plan their flight, choose the right airlines, meet the captain, and so on. Through this program, Captain Bunn has helped thousands overcome their fear of flying. Now his book arms readers with the information they need to control their anxiety and fly comfortably. Great! Thanks Eileen for teaching eyrveone your simple stress management strategies. Everyone has stress & if we all had your wonderful TV show on your dealing with stress we might have less. I would love to see other shows that are maybe longer & you can really get into the different ways we can all deal with stress. I know there are good at helping people and showing us how to deal with stress & discussing good stress and bad stress. I love it & want to see more on this topic.